As a Purdue running back Gray rushed for 1765 yards and 15 touchdowns and caught 53 passes for another 437 yards and a TD. Chosen by the Chicago Blitz in the seventh round of the 1984 USFL draft, Gray alternated with Kevin Nelson and Kevin Mack and ran for 625 yards on 133 attempts as a rookie (4.7 avg. ),added 27 pass receptions for another 288 yards (10.7 avg. ), and returned 20 kickoffs for a 16.6-yard average. Gray scored the winning TD in the third overtime period in a playoff game against the Michigan Panthers and sufferered a broken arm on the play. He followed up with 526 rushing yards in 1985 along with 20 catches for 101 yards and an 18.5 average on 11 kickoff returns. With the demise of the USFL, where he compiled1151 yards on 258 carries (4.5 avg. 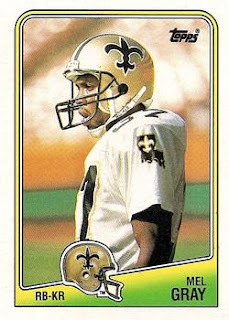 ), 389 yards on 47 pass receptions, and a 17.3-yard average on 31 kickoff returns, he moved on to the Saints, who chose him in the second round of the 1984 NFL supplemental draft. Used almost exclusively as a kick returner, Gray averaged 27.9 yards on 31 kickoff returns in 1986 that included a touchdown. Saints went 12-3 to finish second in the NFC West in thestrike-shortened season (three games were played with replacement players) to finish second in the NFC West and qualified for the postseason as a wild card. Lost AFC Wild Card playoff to Minnesota Vikings (44-10). Gray spent one more season with New Orleans before signing with the Detroit Lions in 1989. He continued to excel as a kick returner leading the NFL with a 15.4-yard punt return average and 25.8-yard kickoff return average in1991 and a 28.4-yard kickoff return average in 1994. He moved on to the Houston Oilers in 1995 and split his last season in 1997 between the Oilers and Philadelphia Eagles.Overall in the NFL, Gray returned 421 kickoffs for an average of 24.3 yards with six touchdowns and 252 punts for a 10.9-yard average and another three TDs. 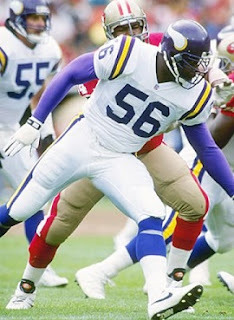 He received consensus first-team All-NFL recognition three times, at least some All-NFL honors following five other seasons and was named to four Pro Bowls. Gostkowski scored 367 points in college, including 70 field goals. He was selected by the Patriots in the fourth round of the 2006 NFL draft and was successful on 20 of 26 field goal attempts as a rookie as well as 43 of 44 PATs. Gostkowski followed up with 27 field goalsand a league-record 74 PATs without a miss on the way to scoring 137 points for the high-scoring Patriots in 2007. Patriots went 11-5 to finish second in the AFC East. Gostkowski kicked 26 field goals in 2009 and was successful on just 10 of 13 attempts in a 2010 season in which he was sidelined for eight games by a thigh injury. He connected on 28 of 33 field goal tries in 2011 and was a perfect five-for-five in the postseason. Gostkowski once again led the NFL in scoring in 2012’13, ’14, and ’15, and also in field goals in 2013 with38 out of 41 attempts. He was selected to the Pro Bowl in 2013, ’14 , and ’15, the same year in which he received consensus first-team All-NFL honors.In 11 seasons thus far through 2016, all with New England, Gostkowski has made good on 303 of 348 field goal attempts (87.1%) and has added 548 PATs for a total of 1457 points. In the postseason he has added another 31 field goals out of 33 attempts and including 67 PATs has scored another 160 points. Gostkowski has received consensus first-team All-NFL recognition once and has received at least some first-team honors following three other seasons. 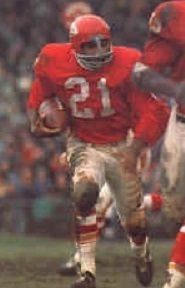 He has also been selected to four Pro Bowls. Kidd averaged 41.8 yards on 262 punts in college with a high average of 45.3 as a junior in 1982. He was chosen by the Buffalo Bills in the fifth round of the 1984 NFL draft. As a rookie, Kidd averaged 42.0 yards on 88 punts. While averaging 41.5 yards on 92 punts in 1985, his net average of 35.9 yards ranked second in the AFC and his 33 punts inside the 20 topped the NFL. Kidd’s performance dropped off in 1985 to a 40.4 average on 75 punts with a net average of 34.5. He ended up spending six years with the Bills in which he performed particularly well in bad weather. He left Buffalo after having averaged 40.5 yards on 446 punts. Kidd signed with San Diego in 1990. Following a solid first year with the Chargers in which he averaged 40.3 yards on 76 punts he struggled through an inconsistent 1991 season. Kidd missed two games with a back injury in ’92 and split 1994 with the Chargers and Dolphins. He had a fine season in 1995, averaging 42.7 yards on 57 punts. Dolphins went 8-8 to finish fourth in the AFC East. 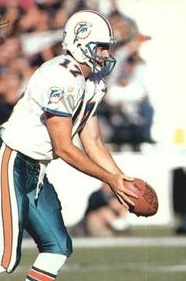 Kidd spent an injury-plagued year with the Dolphins in 1997 and was cut during the 1998 preseason. He joined the Detroit Lions for two games and finished the year with the New York Jets. Overall, Kidd punted 957 times for an average of 41.5 yards with 201 punts for a 44.2-yard average occurring with Miami.1996 remained the only season in which he received honors for his performance.